In order to run a successful and legally sound business, it's important to know the basics about small business legal services. We've got you covered. Are you a small business owner who is getting started? You might be wondering if you should get a lawyer, but are doubtful since nothing has gone wrong so far. You might be wrong. Hiring small business legal services for your business it's not only smart but necessary. Continue reading if you want to know how your business can benefit from having a lawyer. The truth is when you're a business owner you do not have a crystal ball that shows you the future. You're unaware of many reasons why you might potentially get sued. If you wait until it happens to hire a lawyer it might be too late and it could cost you thousands of dollars in legal fees to make the lawsuit go away. However, when you hire small business legal services you'll be making a smarter decision. When you have a lawyer on your side, they can help you protect your business against lawsuits in the first place. Your lawyer can help guide you so your business has a lower risk of getting sued. If it happens, your lawyers will have everything in place and the consequences might not be too severe. When you run a small business of any type you will see more contracts then you would ever care for. You will have contracts with vendors, clients, and employees. Not fully understanding a contract can make you liable if it doesn't get fulfilled. If you hire small business legal services, they will always take a look at your contracts to make sure you follow through with their execution and reduce your liability. Your lawyer will also draft contracts between you and your clients to make sure both of you are protected and the deal is fair. When you start a business no matter how big or small you will need to have a structure to help runs things as smoothly as possible. 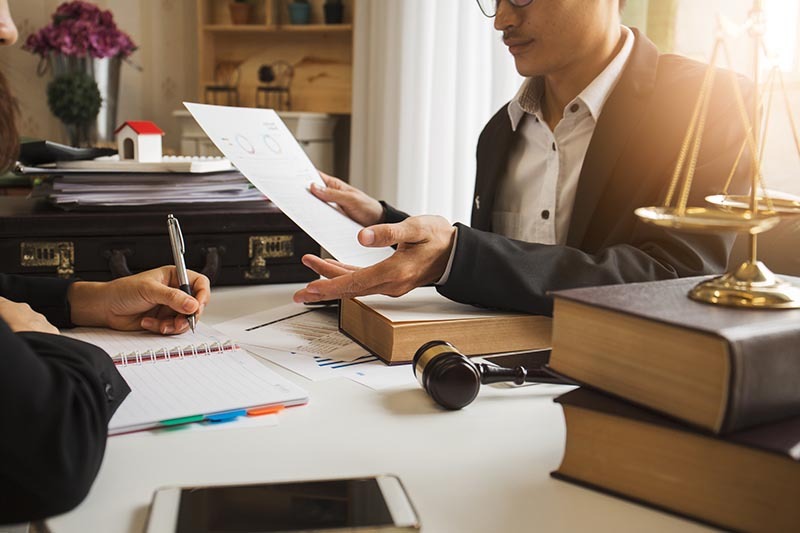 A lawyer can help you in decisions related to whether or not you will be a sole proprietor, you'll be in a partnership, corporation, LLC, or perhaps a non-profit. Then whatever you decide, they will help you execute contracts and make sure you're in compliance with all of your obligations. Of course, your lawyer will help explain each one so you pick the right one for you. They'll execute all the paperwork so you don't have to and you can focus on what you do best. As a business owner, you will have many more obligations with the government. You will need to make sure you adhere to local, state, and federal laws. You will need to make sure you're always in compliance with the government and you follow all of the laws to avoid getting fined or shut down. Lucky for you, when you hire small business legal services, their job is to be familiar with all of these laws. They will take care of obtaining building permits, pay taxes, and keep up with changing laws. Having this taken care of will take the weight off your shoulders. Business owners need employees to help them run their business, but hiring workers also comes with its share of liabilities. Without a lawyer by your side, you could be at risk of getting sued by former employees due to workplace compliance issues, wages, injuries, and wrongful firing. Having a lawyer to help you deal with all of this reduces the risk of employee lawsuits. They will help you maintain your business in compliance with employment laws so you reduce your liability. A lawyer will also help you follow the right procedure to help you fire employees properly to avoid lawsuits and other legal repercussions. When you run a business that develops new services and products, you will want to follow a patent. Doing so does not come cheap or easy. It requires a mountain of paperwork and it could be quite time-consuming. As a business owner, you don't want to be focused on filing paperwork. If you hire an attorney, they can navigate getting a patent for you fast because they know the right procedure to do so. You have a better chance of getting approved for the patent if you have a lawyer in your corner. They can navigate through the process and get you the patent so you can move on to the next project. If you're doing great for a small business you might look to expand or perhaps sell to pursue other ventures. Well, buying and selling a business it's not the easiest process, it comes with many legal implications. If you thought to purchase a home came with a lot of paperwork, wait until you have to do it with a business. Having a lawyer to help you with the process will help speed things up. They will draft the purchase agreement, help with the closing, and transfer any licenses and permits. They will also ensure you're getting the best deal or value for the business so you can move on to the next venture. In more recent years, business owners have been made more aware of the environmental impacts their business might have. Because of this, there have been new federal laws created to protect the environment. These laws might create more challenges for you to run your business. A lawyer will help you navigate through these laws to ensure you're running your business in a responsible way keeping the environment in mind. The last thing you want to do is break one of these regulations and face a government lawsuit, expensive fines, and legal fees. Ready to Hire Small Business Legal Services? Running a small business comes with a fair share of liability, having a lawyer by your side helps reduce the risk of getting sued. Don't wait until it's too late to hire a lawyer. If you want to find a great legal team to help you, contact us. Our legal team specializes in many areas of law. This entry was posted in small business legal services by verhaeghelaw. Bookmark the permalink.